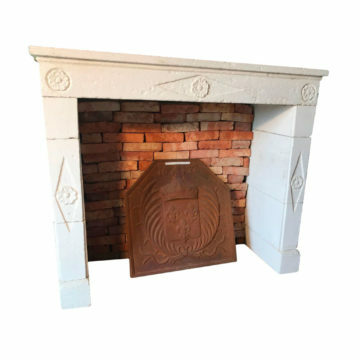 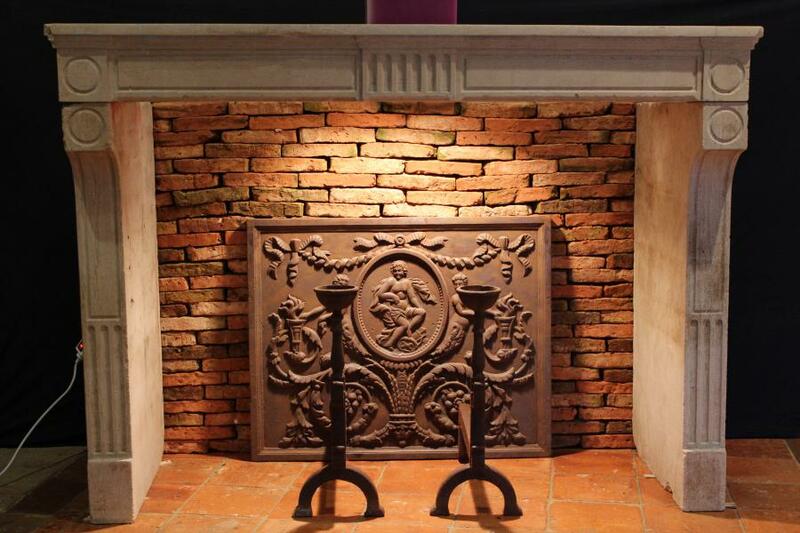 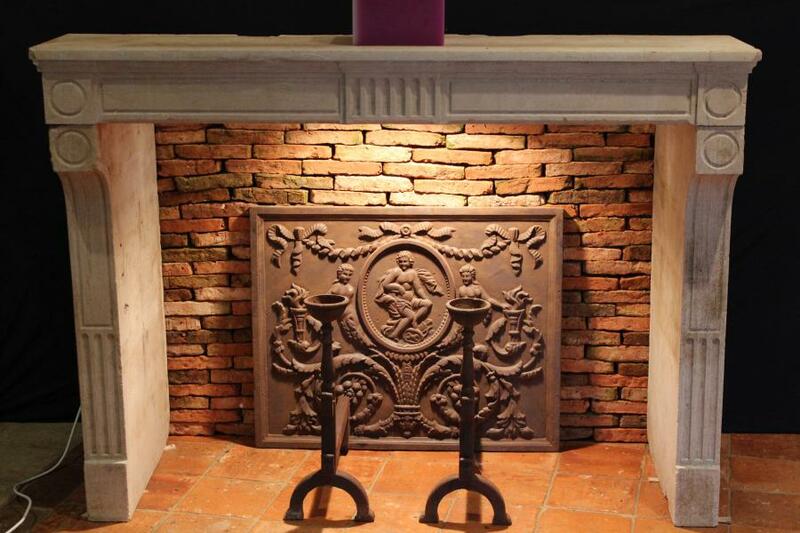 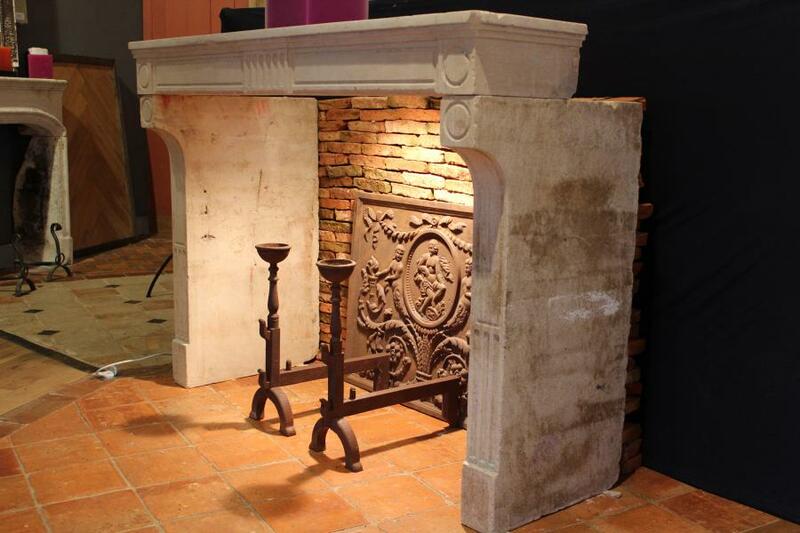 Antique French limestone fireplace, Napoleon III chimney piece. 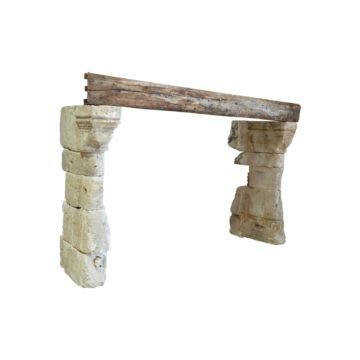 Dimensions approx: overall width 154cm (61″) x height 113cm (44.5″) x front-to-back 65cm (26″). 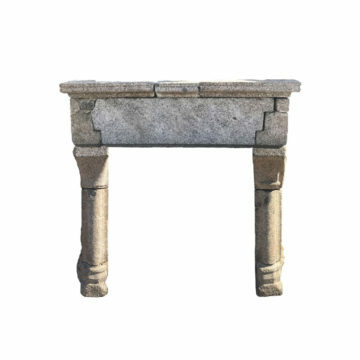 Width between side jambs 128cm (50″) x height below lintel 97cm (38″). 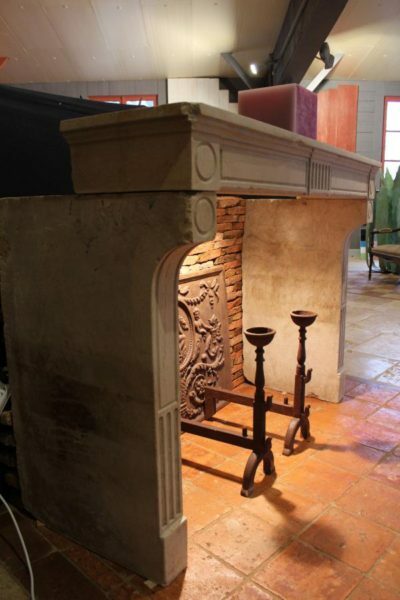 On display at BCA’s premises at L’Hotellerie-de-Flée in the Maine & Loire. 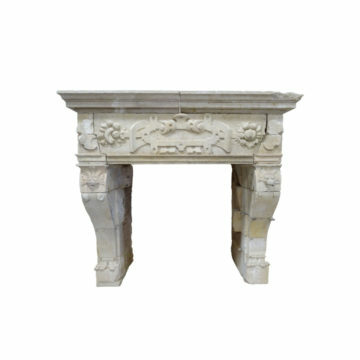 Export document supplied.